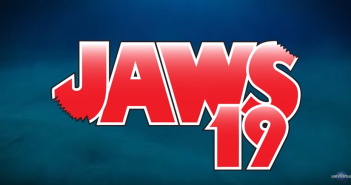 You are at:Home»Posts Tagged "Jaws"
A blood-soaked Quint feeling down in the mouth. Whether you’ve been following us on Twitter or just read this morning’s Best-of list, chances are there are a whole lot of new toy reveals you haven’t seen. When you’re the Supreme Being in the world you’ve created, you’re free to visit misery upon those you resent. I know McFarlane made a plastic replica, but this version of the iconic scene beats it all to hell.